We like to think that the FBI's Most Wanted list is mostly populated by the hardened criminal, the sort of person who commits misdemeanors for 10 or 15 years before robbing a bank, killing a couple bystanders, and fleeing to Mexico, where he remains at large for decades. It's hard to get your mind around the idea that kids and young adults can be hardened criminals, too. While it's definitely not as common as the stereotypical middle-aged crime boss and the career criminal-turned-outlaw, people as young as 18 are perfectly capable of committing crimes heinous enough to get the FBI's attention. And while we may not enjoy thinking about it, it's probably not a terrible idea to acknowledge that criminals come in all shapes, sizes, genders, and ages. In other words, you can't trust anyone, no matter how innocent they look. 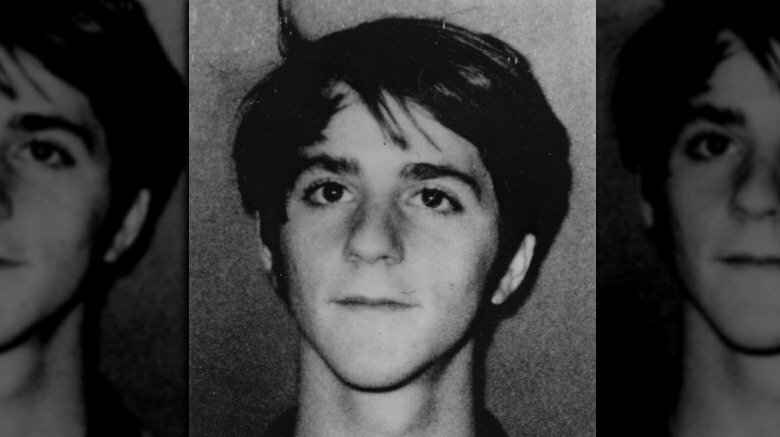 Here are some of the youngest people to ever make the FBI's Most Wanted list. In 2016, Sandy Le loaned $1,000 to 17-year-old Alejandro Rosales Castillo, her co-worker at a Charlotte, North Carolina, restaurant. Lesson 1: When someone you work with asks you for a loan, you should say, "We work at the same place, if you don't have that kind of money what makes you think I do?" Don't say, "Sure, here's a grand." Best-case scenario, you won't ever see your money again. Worst-case scenario, you'll get murdered at a gas station and your coworker will drain your bank account and flee to Mexico. Sandy Le's body was found in a creek a little more than a week after Castillo promised to repay the $1,000 she'd loaned him. Lesson 2: When someone says he's going to pay back the money he borrowed but you have to meet him at a gas station late at night, say, "Hmm, let's meet at Starbucks at lunchtime instead. I'll buy you coffee!" According to the FBI, Castillo was later spotted crossing the border into Mexico. His girlfriend, who was thought to be an accessory to the crime, apparently decided she really didn't want to live forever in Mexico on whatever money they managed to get out of a 23-year-old's bank account, and turned herself in to authorities. 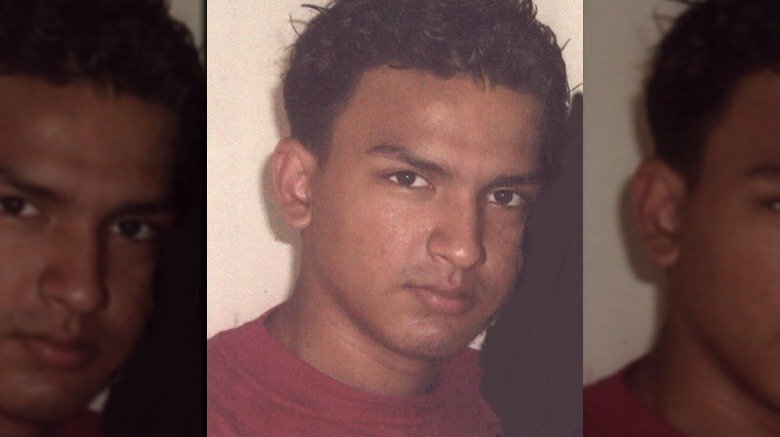 When police failed to capture Castillo, they put him on the Most Wanted list, giving him the dubious distinction of being one of the youngest people to ever end up there. 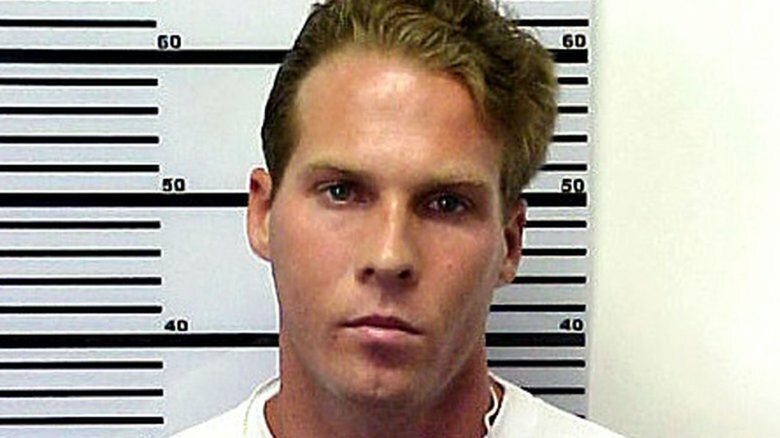 If you have a name like Jesse James Hollywood, you're destined to be either a criminal, an actor, or possibly a guy who herds cattle with a helicopter. This particular Jesse James Hollywood went with the first option. According to NBC News, he became a drug kingpin with a whole posse of people helping him sell drugs, most of whom owed him money. Ben Markowitz owed Hollywood $1,200 that he didn't feel particularly obliged to pay. Hoping to settle the score, Hollywood and his crew kidnapped Markowitz's brother, 15-year-old Nick in August 2000. They held him for two bizarre days, during which time he played video games and went to a pool party. But then Hollywood got nervous about the whole "consequences" thing, so he asked one of his cronies to take Markowitz out to a remote location and shoot him. But Hollywood sort of failed to think it all through. During the strange, two-day abduction, Nick had been seen by a lot of people. After his body was discovered, pretty much everyone knew who was responsible for killing him. The police arrested the triggerman, but 21-year-old Hollywood disappeared and was put on the FBI's Most Wanted list. He fled to Brazil, where he lived for five years until authorities tracked him down, mostly because his parents had been calling him and sending him money so he could live forever free from justice. Great parenting, Mr. and Mrs. Hollywood. These stories are all pretty horrible, but nothing is quite as sickening as the murder of a small child and his mother. In February 2010, 17-year-old MS-13 member Juan Elias Garcia killed his 19-year-old ex-girlfriend Vanessa Argueta and her 2-year-old son. His reason? Well, the two had argued and afterward he was threatened by members of the rival gang she had ties to. So he decided to make them even more pissed off by killing her, which seems like the exact wrong course, but okay. Anyway, according to the FBI, Garcia invited Argueta to dinner but then drove her and her son to a wooded area and shot her in the head. He then allowed a fellow gang member to shoot the 2-year-old, because 2-year-olds make really awesome witnesses in court. 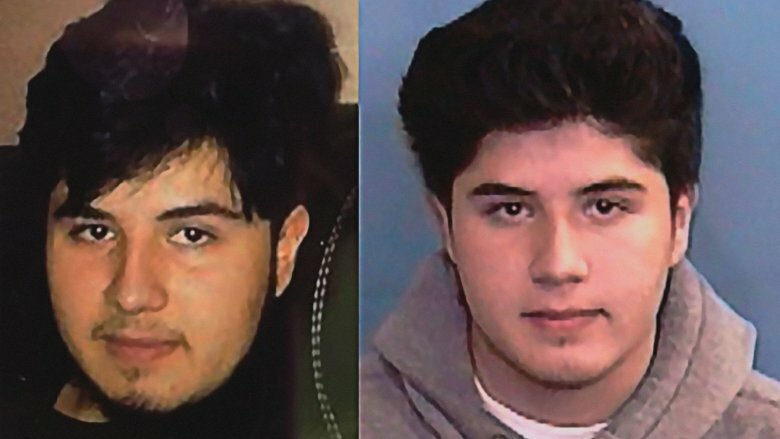 Garcia fled to Nicaragua, but it wasn't until 2014, when he was 21, that the FBI finally decided to put him on their Most Wanted list. Just two days after his picture started appearing on wanted posters all over the world, he turned himself in and was extradited to the United States, where he pleaded guilty and was sentenced to life in prison. Twenty-one-year-old Malcolm Lorenzo Jones made the FBI's Most Wanted list for a good old-fashioned bank robbery, which is what people used to get put on the FBI's Most Wanted list for back in more innocent times, when no one was really afraid of toddlers turning state's evidence. Anyway, the Cincinnati Enquirer says on May 22, 2017, Lorenzo walked into a bank wearing a black hoodie (because stereotypes are fun) and then pulled out a handgun and told everyone to get on the floor. A teller was in the process of emptying a cash drawer for him when he opened a door to let in his brother, who also wanted to be a bank robber. But then oops, Lorenzo accidentally left the door unlocked and an off-duty police officer came inside. Lorenzo stuffed the cash in his pockets because evidently he forgot to bring a bag. In walked this off-duty police officer, who pulled his gun. The two exchanged fire, and then Lorenzo and his brother escaped through the front door, dropping $2,700 of the $6,700 they were trying to steal, mostly because of the lack of a bag. 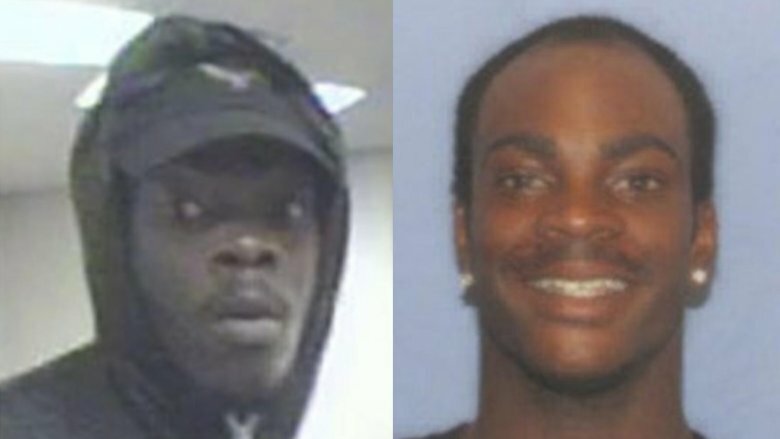 Shortly after the robbery, Lorenzo was placed on the Most Wanted list and was captured a few months later after DNA and fingerprint evidence linked him to the crime. The next time you're tempted to feud with your neighbor over stupid things like loud music, how long the grass is, or how many old cars he has sitting in his driveway, just don't. Nothing can get you into trouble quite like a dispute with the one person you can never, ever get away from. 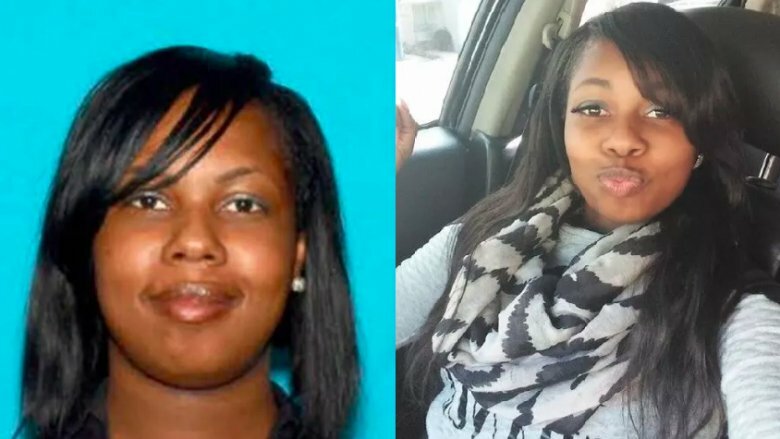 According to Heavy, 24-year-old Milwaukee resident Shanika Minor was annoyed because her neighbor Tamecca Perry, who was nine months pregnant, was playing loud music. Granted, that's super annoying but not really a capital offense. In March 2016, she confronted Perry on the sidewalk with a gun and fired some shots into the air. Minor's mom, who was probably regretting that she'd ever said anything about the loud music, defused the situation, but Minor wasn't finished — she felt that Perry had gravely disrespected her and her family, so she went back to Perry's house the next day and shot her in the front yard, in full view of her two children and boyfriend. Perry dragged herself into the house and died. Her unborn baby died, too. After that, Minor might have thought, "Crap, maybe being disrespected is not so terrible as being on the FBI's Most Wanted list." Regardless, she fled and remained at large until a few days after she was added to the list when she was apprehended in North Carolina. More than 500 people have been placed on the FBI's Most Wanted list since it first became a thing back in 1950. The vast majority of those people have been male — the number of women on the FBI's Most Wanted list didn't even hit double digits until 2016. 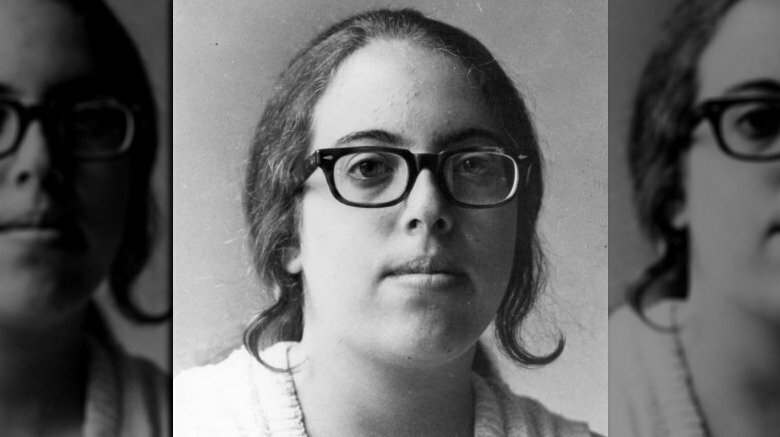 In 1970, an anti-war activist named Katherine Ann Power, her roommate, and three male friends robbed a National Guard armory and bank because screw the Vietnam War. According to People, the quintet hoped to use the money, which amounted to about $26,000, to buy arms for the Black Panthers. But things went horribly wrong and the group was thwarted by a police officer named Walter Schroeder. As 21-year-old Power sat in the getaway car, one of her co-conspirators shot Schroeder in the back so the group could escape. 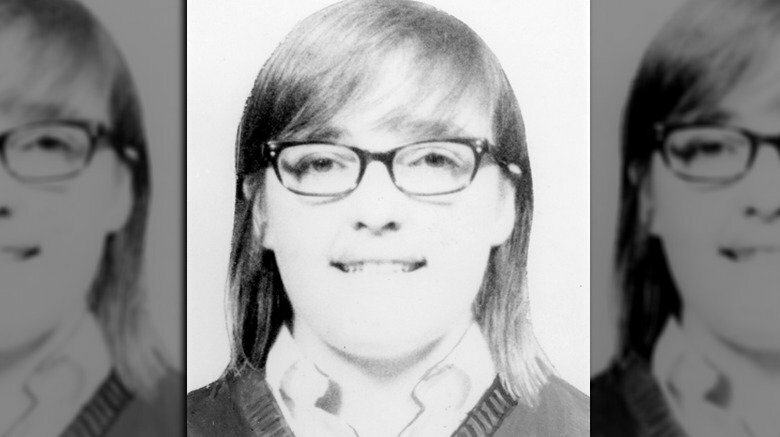 The three men were arrested a couple days later, but Power and her roommate, Susan Saxe, vanished and were placed on the Most Wanted list. Power remained at large for 23 years. She changed her name, moved to Oregon, opened a restaurant, got married, and became a mother. But she was haunted by the memory of her crime, and ultimately decided to turn herself in. In 1993 she pleaded guilty to charges of manslaughter and armed robbery, was sentenced to prison, and served six years of an 8- to 12-year prison sentence. Susan Saxe was the roommate of Katherine Power and was accused of the same crime. She was on the run, too, but only stayed ahead of police for five years. By the time Katherine Power turned herself in, Saxe had already served time in prison for the crime and was living as a free woman. In fact, while in prison in the early 1980s, Saxe also ran a successful computer company. A 1975 article in the New York Times said that in the first years after their crime, Saxe and Power were able to avoid authorities with the help of some people "within the women's movement," which does sort of sound like something a newspaper would say in the '70s, back when law-abiding citizens never did things like ask for equal rights and better pay. According to Rolling Stone, Saxe was living in Philadelphia when a police officer recognized her in an FBI photograph. She was evidently walking around downtown Philadelphia when the officer spotted and arrested her. She served eight years of a 12- to 14-year sentence and was released in 1982. After she was paroled, she went back to Philadelphia and got a job working for a Jewish charity. The Most Wanted list was barely a toddler when Ollie Gene Embry landed there in 1951, for the blissfully simple crime of robbing a bank. Embry and three friends took just over $8,000, so they at least did better than Malcolm Lorenzo Jones, and they probably remembered to bring a bag, too. 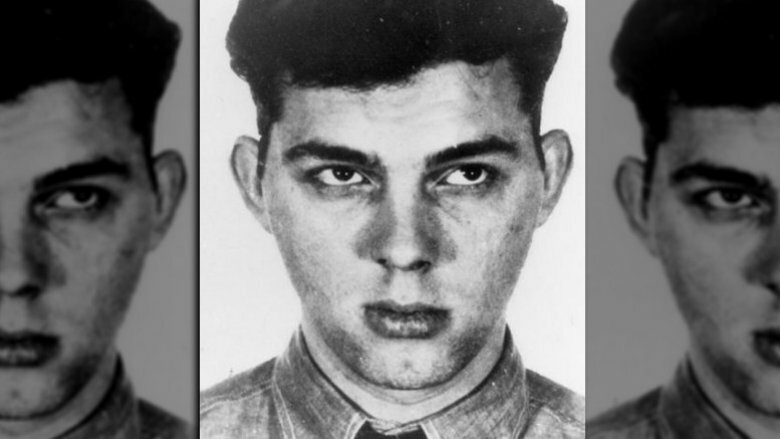 Embry's co-conspirators were captured shortly after the crime, but Embry stayed at large for several months, until just after he was placed on the FBI's Most Wanted list at the age of 22. 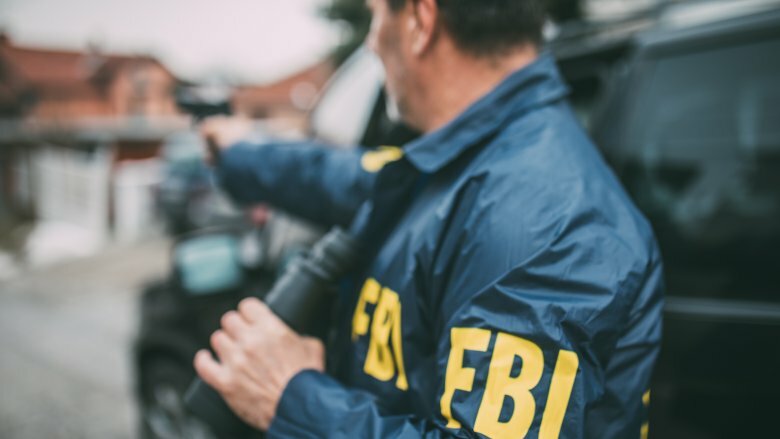 The FBI said he was apprehended after a citizen saw his picture on a wanted poster in the post office and recognized him as a gas station attendant. So, yes, standing around bored in line at the post office is your civic duty. When Embry was caught he was "armed only with a wiping rag," so evidently $8,000 didn't go very far even in the 1950s. When modern teenagers want to make a political statement, they organize school walkouts and they write to their Senators and they use Twitter to get advertisers to boycott television personalities. Most teenagers recognize that blowing stuff up is not really a great way to make a political statement unless your goal is to gather firsthand knowledge about the nutritional content of prison food. In September 1970, 18-year-old David Fine and some friends decided to blow up the Sterling Hall mathematics building at the University of Wisconsin. According to the Stanford Daily, the hall was targeted because the U.S. was still in Vietnam and some of Sterling Hall's projects were contracted by the Army. 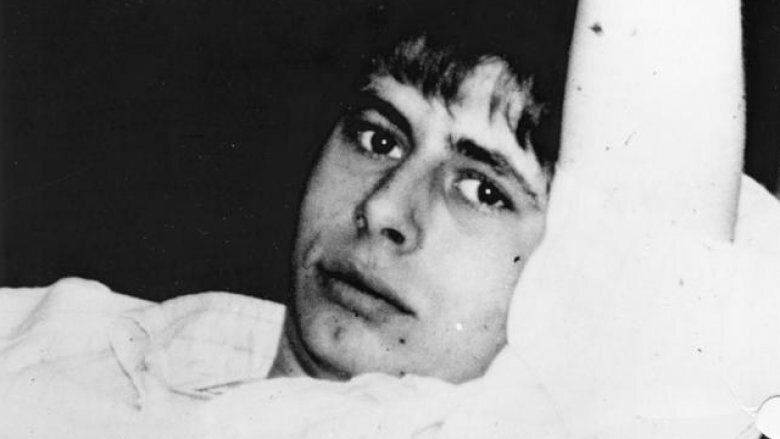 Fine and his friends, who were suspected members of the radical Weather Underground movement (not to be confused with the strictly meteorological service of the same name) blew up the building just before 4 a.m., thinking no one in their right mind could possibly be working that late. They were wrong, of course, and the blast ended up killing researcher and father of three Robert Fassnacht. When Fine and his co-conspirators heard someone had been killed, they went on the run, and the FBI put them on the Most Wanted list. Fine lived as a fugitive for more than five years until someone spotted him living in California and tipped off the feds. The Sterling Hall bombing was the worst incident of domestic terrorism until the 1995 Oklahoma City bombing. Including David Fine, there were a total of four men involved. Nineteen-year-old Dwight Armstrong was the younger brother of ringleader Karleton Armstrong — according to the Wisconsin State Journal, Dwight was "swept up in the anti-war movement" by his brother. Still, at 19 you ought to know better, but the men were all convinced that destructive action was the only way to get the government's attention. It did, but probably not in the way they intended. Dwight Armstrong joined his co-conspirators on the FBI's Most Wanted list when he fled with his brother, Fine, and a fourth conspirator named Leo Burt. Dwight Armstrong remained on the run for seven years and was eventually apprehended in Toronto. His sentence was pretty light, really — he served three years in prison and was paroled, and all that time he was probably thinking, "Man, if I'd just turned myself in back in 1970 I'd be done with all this by now." After another run-in with the law, he eventually became a cab driver and lived happily ever after. His brother, incidentally, went on to become the successful owner of a sandwich shop and juice bar, so yes, you can blow up an entire building and still lead a happy, productive life. The fourth co-conspirator in the Sterling Hall bombing was Leo Burt, who was radicalized after a police officer beat him while he was covering the protests that followed the killings at Kent State University. Generally speaking, getting beaten by a police officer is high on the list of things that will make people angry, but Burt kind of went a little overboard when he decided that the correct response to the beating was to blow up a building. According to the Milwaukee Journal, Leo Burt — who was either 20 or 22 at the time of the bombing, depending on which birthdate he felt like using — helped gather the supplies and set up the bomb. After the explosion, he fled with David Fine to Ontario. The two were spotted at a university residence in Peterborough, but they seem to have been tipped off somehow because they jumped out a window and ran before the police were able to get a warrant and arrest them. 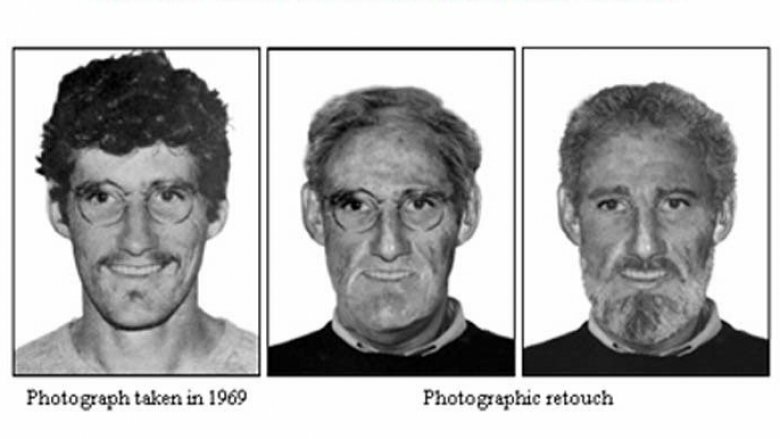 Leo Burt was never caught, and as of 2018 he had been at large longer than any other fugitive in FBI history. At this point it seems likely that we'll either never find out what happened to him, or he'll tell someone on his deathbed, and then lie back and smile because after all those years, he'll finally know for sure he got away with it. 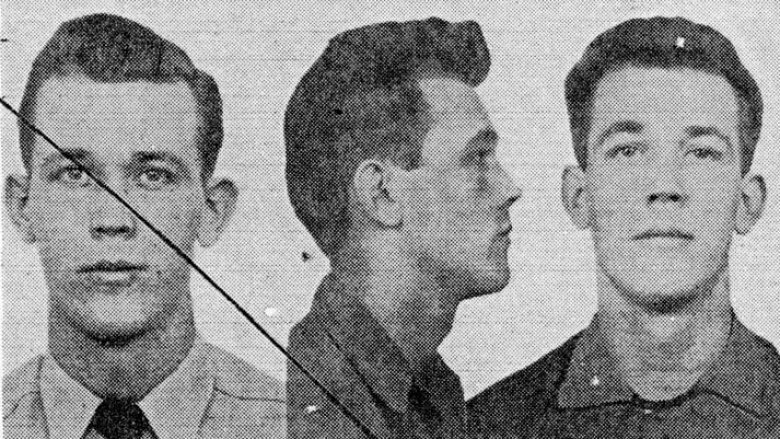 Another early pioneer of the FBI's Most Wanted list was 23-year-old Joseph Franklin Bent, who was described in 1951 by the Albany, New York, Knickerbocker News as a "hardened holdup man" who had once been in the Army and turned to crime because of reasons. His MO was robbing stores, and his career dated all the way back to his Army days when he robbed a post office substation in Colorado, which is exactly why he wasn't in the Army anymore. He'd robbed so many different establishments, in fact, that at one point police thought he was three different people. His life in crime continued until he was captured in 1950. That time he escaped, and shortly thereafter found himself on the Most Wanted list, and we'll just add that he probably wasn't super pleased about the wanted poster because it made him look seriously creepy. Bent was apprehended in his apartment after (weirdly) an Alaska resident saw Bent's photo and told police Bent could be found in Mexico. That Alaskan was right, and the cops followed him to Texas. Police shot him in the leg as he tried to escape, thus ending his crime spree but permanently immortalizing him on that creepy wanted poster. And one more fun fact: Bent is evidently the dude who either coined or was an early adopter of the phrase, "They'll never get me alive," even though they did.